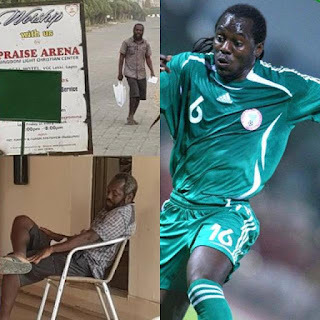 Former Super Eagles midfielder Wilson Oruma is now said to be in a status of mental disorder six years after he was reportedly defrauded by a clergyman. Oruma was one of the Nigerian football stars who made millions in the round leather game, but he was reported to have been duped by a clergyman and some fake oil businessmen. The 41-year-old midfielder who played alongside Austin Jay Jay Okocha and former Arsenal striker Kanu Nwankwo in the Super Eagles retired from football in 2010. He was said to have invested a whopping sum of N1.2 billion without proper consultation after retiring from football and he consequently lost the investment. His close friend Emakpor Dibofun has been reported to have told Complete Sports that the former Super Eagles star is yet to recover from the fortune he lost to fraudsters. “Wilson Oruma hasn’t really recovered from the emotional disorder which he suffered after he was duped. “He has been to several places in search of a lasting solution, but it gets worse after a bit of improvement,” he said. The report also stated that many of Wilson Oruma’s former teammates at the Super Eagles have been contacted, and there are plans for his condition to be resuscitated. 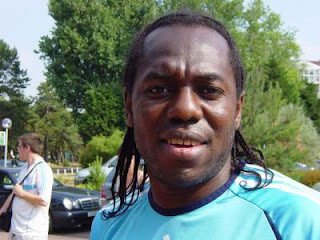 Wilson Oruma starred for RC Lens, Nancy, Samsunspor, Nimes, Servette, Sochaux, Marseille and Guingamp, and Kavala FC of Greece before he retired at the age of 33 on November 26, 2010. He also featured for Nigeria’s U-17, U-23 and the senior national team winning the FIFA U-17 World Cup in 1993, the Olympic gold in 1996 and two bronze medals at the African Cup of Nations in 2002 and 2006.